If you haven't heard of GDPR, get ready. Like the term "data," you're going to be hearing this buzzword a LOT. I've got several posts on it already and will likely have more to say. In this post and podcast episode I'll share why all this data talk is significant, why we need to think about it to not be smarmy, and tips for GDRP compliance. I'm also running a free workshop this week on Freebies + GDPR you won't want to miss. REGISTER NOW! Did anyone else catch all those memes and silly videos about Congress questioning Zuckerberg? Many of us laughed at that, but here's the thing: were you surprised by anything he said? Like maybe how Facebook might be tracking you on a website that's not Facebook even if you don't USE Facebook? Here's reality: Data has long been overlooked and it's about to change. People haven't realized how precious data is and the common user of the internet has very little idea what is being tracked and how. These data conversations are really GOOD because they are forcing transparency. I think this is going to have massive ramifications and this whole data buzz word will be around for a while. It also may have long-reaching impact on your business, if you are doing things like running Facebook ads or having a website or email list. I think that there will be some pushback from the typical users who may not like that your blog is storing their info or sharing with third parties. Oh- you didn't know your website was doing that? Let's look at what it IS doing. If you have Google Analytics on your site, the Facebook tracking pixel, or run advertisements with third parties, accept comments on your blog, or have comment forms, you are collecting data. How much depends on what you're using. Even if you don't KNOW it, you are tracking data. If you head into the back end of your blog, you'll find that commenters have email addresses stored on your site. That's data that you've collected and GDPR says you are responsible for it. WHAT. Same with contact and other forms on your site. It goes deeper with Google Analytics, even though that typically is using ip addresses and has lots of anonymity (from my understanding). And if you have the Facebook pixel on your site or are using Google ads or other advertisers, you may be sharing your readers' data with third parties EVEN IF YOU DON'T KNOW IT. So if this sounds creepy to you at all, you'll understand why I said that there is going to be long-term fallout and some people are really going to balk at this. Y'all know I'm all for not being smarmy. So in one sense, I LOVE that this is being brought to light. As bloggers and people using the internet, we need to KNOW that we are storing data. We should know what is being tracked and we should be up front about that with our readers. It's not smarmy if you don't know and don't tell your readers because you simply didn't know. However, as this data conversation continues, ignorance will not keep you from potential fines or from being responsible for the data you're (unknowingly) collecting. I like that now we are creating some accountability. I don't always like some of the specific ways this is playing out with GDPR, but I think that we are moving in a good direction by making all of this more transparent and honest. It's not going to be the wild west of data anymore. Now you know and knowing is half the battle. The other half is doing something with that knowledge. So let's get into specific tips for GDPR compliance. Get the GDPR COMPLIANCE plugin. This will add a checkbox for consent on your comments and also any forms on your site. Add a banner or overlay asking consent for cookies. I used a widget called EU Cookie Law Banner that I found in my Wordpress site under appearance/widgets. Likely you will see this banner floating along the bottom. I updated it with custom GDPR language. You can also check out the free option from Cookiebot...but I found it a little more robust than I think (hope) is needed. Find out what your email service provider is doing. If you are not using a trustworthy email service provider, this is the time to switch. Under GDPR, you are the data controller, but a lot of the heavy lifting will fall to your data processor. You are responsible, but they do a lot of the tech stuff. Email them to ask. I know that Convertkit, Mailerlite, and Mailchimp have things in place and have already heard from a sad listener who is losing tons of subscribers because of her email service provider and GDRP. I hope you found these tips for GDPR compliance helpful and that you are not too freaked out by the whole data situation and what you are collecting and what is being collected by other people when you go to mom blogs on the internet, for example. This is the world we live in! I've shared a lot about my publishing experiences over the last year, and just in case I've made it sound like a walk in the park, today I'm sharing book launch disasters. Though I'm sharing things I've experienced, I think many of these are common, so hope that they will help you when you face book launch disasters of your own! This post contains affiliate links! At no extra cost to you, I may make a commission on purchases made after clicking links. Book Launch Disaster: Amazon Glitches The biggest part of this post deals with Amazon. MOST of these have happened to me. USUALLY the answer is going to be: contact Amazon. And the result of that will be: SOMETIMES they might do something. (But as I say in the podcast episode, "Most of the time, they're too busy making money to care.") Here are some things that might go wrong on Amazon--or another publishing channel. Not publishing the book at the right time - I did have a delay with one book of over three days when my book got flagged by Amazon (more on that in a sec). A big-time author this week tried to release the sequel to a series and people freaked out when it wasn't on time. The author was scurrying around Facebook groups sharing that Amazon hadn't published the book yet, but it should have been out. If this happens: contact Amazon. It may or may not help. Making you prove you wrote the book - I had a delay on my third Emma St. Clair billionaire book, The Billionaire Benefactor. Amazon says it may take up to 72 hours to publish, but usually it's hours. After a day, I contacted them. After three days, they emailed me asking me to prove that I had the rights to publish the book. I had to send an email from my domain name email address. It took a few days and messed up my launch timeline. I had swaps and ads set up, so had to email people and the companies I'd paid to try and switch dates. If this happens: Contact Amazon. Contact any people you have newsletter swaps with, any companies you've paid for promos, and let your fans know if you've said the book will be out on a certain date. Publishing the wrong version of your book - Amazon recently switched up preorders and how they are set up. This resulted in a TON of books being published with the draft version, not the final. Typos everywhere! Angry reviews! It was a mess. If this happens: Contact amazon. You can ask them to replace the file, but often they'll want documentation. It's a really stinky situation for them and for you. Double-check the files before you send because things have changed. Not changing the price - With my Billionaire Surprise Box Set, Amazon didn't change the price in the US until three days AFTER I changed it. For whatever reason, it dropped in Canada and outside the US, but my main promos I had scheduled were IN the US. So I lost money on the promos where they cancelled my book since it wasn't marked down as it was supposed to. One promo site rescheduled (thanks, Book Cave!). The others? I just lost money. Argh. If this happens: Contact Amazon. Usually you'll just have to wait it out. If you need to, contact any people you're swapping newsletters with or any paid promos. Disconnecting your series page - Masquerade Ball. When you have a series, Amazon will make a series page for them and show the others in the series at the bottom of the description. I had this set up and when I published the fifth book, they removed it. (Also had trouble getting them to add book #3 to the page when it published.) I don't know why they did this, but I simply had to call or email and get them to fix it. If this happens: Contact Amazon. They gave me a hard time once, but normally, they are fine and restore it quickly. Taking away your reviews - this is just something that happens. Usually there's nothing you can do other than get organic reviews from people. Make sure your reviews are legit, but otherwise, email Amazon if they ALL go. If it's a few, probably nothing you can do. If this happens: Unless it's ALL your reviews, there's nothing you can do. If ALL your reviews disappear, it's probably a glitch and will restore itself. Make sure you're not reviewing your own books, asking family to do this, and that your ARC readers aren't using phrases like "in exchange for" that make it sound like they got a free book in EXCHANGE for review. Those are no-nos. Removing your book - There was a glitch this weekend where al ton of books were removed from Amazon. It was just a glitch, but that doesn't help you feel better when you lose ranking because of your book being GONE. A few friends had this happen and it tanked their climb in the ranks. If this happens: It's probably a glitch. If Amazon contacts you and it's related to the content in your book, you can do your best to comply. I've seen that, but RARELY. BOOK LAUNCH DISASTERS: NOT SELLING ENOUGH Sometimes you launch and it just feels like your book isn't selling the way it SHOULD. Don't mistake that for the way you WANT. Chances are, you'll always WANT it to sell more. But if you check the ranking of your book compared to other similar books in the genre you're aiming for and things like that, you'll get a more realistic idea. (I also use the tool KDSPY to check on fun details within categories. You can check that out HERE.) If your book is not selling like it SHOULD, here are some things that might be going on. (Again, make sure your expectations are realistic. Mine sometimes aren't.) Your cover doesn't fit the genre - With my book, The Billionaire Love Match, I had a handsome, grumpy guy, perfect for billionaires, I thought. I didn't realize (duh) that EVERY billionaire is in a suit. (Almost.) My cover was okay, but he didn't look rich and it was dark. I've now gone through a few transformations. It mattered! Whether or not you think covers matter, they DO. Make sure yours is genre specific. Don't get emotionally attached or go with what you love. It matters more if your READERS will love it. Your blurb doesn't hook the readers - I have been testing Facebook ads with The Billionaire's Secret Heir and found that my ads were getting people to the page, but it wasn't selling like it should. The cover is fine and genre-appropriate and I asked around to get feedback. It all centered around my blurb. I wrote four revisions, bought a book, and wrote another one. I think it's much better and the ads converted better. You need to hook those readers who get to your page! Study other blurbs in your genre as they vary from genre to genre. Then study copywriting. I did and it helped! Related book: Mastering Amazon Descriptions by Brian D. Meeks Your ads aren't working - If this is the case, first check your cover and blurb. If that's not the issue, you may have a targeting issue with your audience or you may not understand how to run ads. This is a BIG reason I recommend email promo sites to start with, not Facebook, Bookbub, or Amazon ads. They have a learning curve. Sometimes your book just doesn't sell the way you want OR the way it should. Sometimes it's because of #1 or #2, but sometimes it's not something you can pinpoint. Until you grow your own fan base of people hungry for your book, which takes TIME, this can be slow going. Try to identify any problems and then just do your best. If this happens: Ask for help in a critique group. Check the other similar books in your genre and authors at your level (as in, don't compare your first book to an author with fifty). Be ready to respond to that feedback in a non-emotional way. :) BOOK LAUNCH DISASTERS: YOUR EXPECTATIONS I saved this one for last because I think it's the hardest. It's not external; it's your mind. I am HARD on myself. I set big goals and I want to accomplish them. I shouldn't be disappointed in what happened this past year. I've reached my goals and then some. But I'm never NOT thinking about the next step. I always want to write better, sell better, and make more money. That's the goal-- not to get stagnant, but to get better. that means, though, that I can be super hard on myself. I also suffer from book envy. I see other authors doing what I'm doing, writing what I'm writing, and it's SO hard not to think, "Why isn't that me?" That is so unhelpful. Unless you are studying what they are doing to see how it might benefit you, that comparison is only going to leave you sad. Sometimes people want to read bland, vanilla, boring books. I've seen some selling really well in my genre. Sometimes you don't know why someone else's book with a bad cover is outselling yours with a to-genre cover. You can't compare. It's not healthy. Any book launch disasters? Share in the comments or in the Facebook community! This post deals with something super important: how to get book reviews for your book. I don't have a magic formula or some ninja trick for this. It's a long game, over time. Are you ready? Let's dive in. Getting book reviews sometimes seems like a ninja trick. It's a struggle in the beginning and feels like a chicken and egg problem. Reviews help you sell books (and secure some of the paid promos), but you can't get reviews without selling books. If you're frustrated, you aren't alone! But you CAN do this. HOW TO GET BOOK REVIEWS Write a good book. No duh, right? Here's the thing: we all think that we've written a good book. But what you really need to know is if your book is well-written and suits the reader expectations for the genre. If you are not writing in a specific genre according to that genre's conventions and you're just choosing to write what you want, getting reviews will be harder. Unless you write a unicorn book. (Not an actual book about unicorns, but a book that just HAPPENS to find success.) To help make sure you've got a good book, get some other eyes on it. Find some beta readers or ask other authors in your genre. Make sure you've read the successful books in your genre. Above all, make sure your books meets reader expectations. The cover, blurb, and the contents in the book should all line up together and should all be what the reader expects. This is the basic foundation for getting reviews. Don't miss this! If you aren't sure about how to write to a particular genre, check out my post on niching down. Grow your audience. It's hard to grow an audience as you start. This is slow work, but it's work that you should be continually doing. Growing an audience is something you'll do for your whole author career. You may be using social media, but your main focus should be your email list. Do newsletter swaps with authors who are in the same genre. Run ads targeted to the right people. You need eyes on you book to get reviews. As I launched my Emma St. Clair pen name last year, my reviews grew as I continued to write books. My earlier books had less reviews in the first thirty days than the books I write now. Build a review team. While growing your audience, also grow your review team. I've talked about the difference between ARC readers and a launch team--you might have one or the other or both. But as you grow your overall audience, continue to build this team of people who see your book first and will review for you. Different people handle this different ways. Some ask for proof of reviews form the members and remove people from the team. This seems like a lot of work for me, and technically Amazon could take you to task. You are not allowed to incentivize reviews or require them in exchange for your free book. (More from Amazon on this.) Something realistic to realize: it is a SMALL percentage who leave reviews. As far as I can tell (without doing more work than I want to), about half of my current team leave reviews. When you're looking OUTSIDE your review team, it will be less. As an example, I've sold and given away over 6k copies of my most-reviewed book and it has had 1.5 million pages read. It's just shy of 100 reviews. Ask for reviews. To get more reviews, you DO have to ask. This is a place where authors sometimes get uncomfortable and then awkward. Let's avoid that. You don't need to feel bad asking for reviews and you also don't want to make READERS feel bad if they don't. Somewhere in the back matter of your book, ask for reviews in a simple, clear way that isn't emotionally manipulative or apologetic. I normally don't review because an author asks, but because I like them book and then am reminded to review when I finish a book on the app and Amazon asks for a review. It may not be the author asking, but the fact that I AM asked gets me taking action. Calls to action work. Don't miss this simple step. As for the wording, keep the tone light. You can explain why reviews matter, but don't go on too long about it. Ask for an honest review if they liked the book. Don't make people feel bad or like they HAVE to leave a review. Try not to come across as needy or whiny or demanding. Don't beg. Check to see how some of your favorite authors do this and then find a way to ask in your own words. Remind people. If authors don't like asking for reviews, they DEFINITELY don't love reminding readers. This feels like nagging. But nothing is wrong with reminding your email list or your Facebook page to leave a review. You don't have to ask overtly, but that's fine too. One way I've found to remind people is to post a screenshot or quote of a review and share how thankful you are for it. That gets people thinking, "Oh yeah-- I mean to leave a review!" It also shows that you appreciate your reviewers. With your review team, you can do more overt reminding. You should email them at least twice, maybe more, about reviews. After all, they signed up for this. You aren't annoying them, but reminding them that they signed up to do this. WHAT OTHER OPTIONS DO YOU HAVE? If you've gotten this far, obviously these are slow, long-term strategies. They aren't quick wins or fast ways to get hundreds of reviews. There ARE some other ways to get reviews if you want to try other things. I just don't recommend them as much. BUT if you're just starting out, some of these might help you with that. Paid Review Services There are services where you can pay them to connect you with readers and reviewers. This is NOT buying reviews, but giving away your book through a paid service to their audience with the hopes of getting reviews. I have never used these (other than Shifted Sheets, which worked well and grew my email list by 50 or so), but have seen other authors recommend them. Happy Book Reviews Shifted Sheets (mailing list builder option) Booksprout Hidden Gem Book Sirens Xpresso Services Some authors have used Net Galley, but this seems to be a more expensive option with very harsh reviewers. I've not seen any authors recommending this. Emailing Reviewers I've seen the advice (and even courses) about manually going in (or using a data scraping tool like Import.io) to get email addresses from Amazon reviewers, then emailing them offering a free book for a review. I'm not a fan of this for a few reasons, though I think it CAN be done well. Some Amazon reviewers WANT free books to review. They do this all day long. Amazon did remove the ability to SEE the email addresses when you click on a reviewer, so now it takes more work to click on a webiste or blog and find their email address. I did try this once. It took hours. I should have been writing more books instead. :) WHAT IF I GET BAD REVIEWS? Some people suggest that you shouldn't read your bad reviews. That's not bad advice. Sometimes it's healthy to just step away. But you also might find something really helpful to you as an author in those bad reviews. I say read them. Learn from them if you can. Don't let them negatively impact you. Then move on. There isn't magic in getting more reviews on your book. If someone tells you there is a quick way to get lots of reviews, they are probably selling something or violating Amazon's terms somehow. Write good books. Grow your audience. Ask for reviews. And then repeat. Questions? Tips or other resources for getting reviews? I'm continuing on a fluid series on book launching and publishing with this post on how to find bet and ARC readers for your book. To read more of the series, click HERE. One of the important parts of a book launch is sending out your book to beta and ARC readers. Not sure what those terms mean? You aren't alone! Let's break that down. Note: Different people may use these terms interchangeably and in different ways. The definitions I'm sharing are the ones that I use and what I think are most commonly used by authors. To see the post on my main blog, click HERE. To join my free Facebook community, click HERE. WHAT ARE BETA READERS? Who are they? My beta readers are superfans who love the genre I write in and get a chance to look at my manuscript before it's even been to the proofreader. I send it to them as soon as I'm done editing. How many do you have? I have less than ten beta readers. What you send them? I send them a Word doc or, by request, another type of file. They will either email a list of corrections or notes (if they aren't using Word) or will use the feature to make comments and track changes in Word. What they do for you? My beta readers look for things like plot holes, typos and other errors, or anything in the story that might trip them up, not make sense, or that slows down the overarching story. They help me get secure in the story and often they pick up things the paid proofreader misses. When do I send them a book? I send the book as soon as it's done with my final edits. I am on a super-tight schedule. I send them the book usually less than two weeks before publication. This is VERY SHORT and most people recommend longer. But for me and the readers I have, it works. WHAT ARE ARC READERS? Who are they? My beta readers get my books in the final form--after the betas and after the proofreaders and after I've made my corrections. The book is fully formatted and should be as close to perfect as possible. What you send them? I send a .mobi or .epub file through Bookfunnel. What they do for you? They read in advance and write the first set of reviews. If they happen to find any typos or have suggestions, I always welcome them, but I do let them know these are my final edits and I'm not looking for story suggestions. When do I send them a book? I send them the book after I've made the final corrections after the betas and proofreaders have looked at it. Because I'm publishing on a super tight schedule, they usually get the book a week or a few days in advance of publication. HOW TO FIND BETAS & ARC READERS Friends and family This can be good or bad and you may not know until you try it. Friends and family might not be great readers because they want to encourage you. OR they might feel so close to you that they will say whatever they think. I've had bad experiences with friends and family reading books and telling me how much they hated things. It's really hard to come back from that. You may not want to. Friends and family may not be the ideal readers for your genre. If you find someone who is a good reader, reads your genre, and you think would give you an honest (but kind) response, go for it! Paid Services I have not personally used paid services to find beta and ARC readers. I'm a little hesitant to recommend this, though I'd love for someone to weigh in who has had a good experience. First of all, I think that an organic approach may yield better results. I've heard some horror stories about the paid services, but again-- it's not firsthand. The more I wrote and grew my audience, the more I had people requesting to be a part of my ARC teams. Paying for betas and ARCs might be your only option in the beginning, but I would work to organically build readers as early as you can. Asking Other Authors' Readers I've seen authors teaming up to grow their ARC and beta reader. This would look like one author offering to give their own readers the signup form for another author. I think this can be great and I've personally done this for authors, but you don't want to do this too frequently, unless you want your readers stretched really thin. I write a book a month, so I want readers who can keep up. If you're publishing less often, you might be more able to do this often. This is a great way to get in front of the right readers and another reason you want to be building relationships with other authors. Asking Other Authors I haven't had great luck with this, mostly because I think all the other authors are busy being authors. But I know many authors do use other authors in their genre as beta readers or as ARC readers for their books. If you are just starting out and have no direction, but do have author friends, this is another thing you could do--read for them and they read for you. TIPS FOR BETA AND ARC READERS Be clear in your expectations. I've had people do way more than I wanted or asked. Don't let everyone on your beta team. You don't want a lot of beta readers. I have almost ten and they are epic. But some people only have a few other people look. Find a timeline that works. My publication schedule is very fast. I have found people to work fast with me. That may not work for your genre or readers. You'll need to plan out the time you NEED for this to work for you. BE THANKFUL. I've been a beta reader for some authors before, given great feedback, and gotten nothing in return. Not even a thanks. I will never beta for someone again who does that. If you find someone willing to read your book or write a review or share with friends, you better show them how much you appreciate them. All writers struggle with insecurities. A few this week who are at various stages of their writing and publishing and even blogging careers feeling like a failure or feeling scared or just struggling with doubts. We have all been there! I hope this post can be an encouragement to you if and when you're feeling insecure about your writing or creative work. HOW TO DEAL WITH YOUR DOUBTS Identify the trigger Can you find out what is causing those feelings of doubt? I've struggled with and still struggle with depression. When I'm having a low day, I put it on the calendar. It helps me identify if something happened to trigger it. There isn't always something, but for you maybe it's reviews or a particular Facebook group that makes you feel unhealthy. Try to find the cause. Remove or adjust If you are able to avoid or remove that thing from your life, even temporarily, do it! If not, see if you can find a way to adjust. I've left groups that made me doubt myself, disconnected from Facebook friends who weren't positive, and I've taken breaks from writing altogether as needed. Find support We all need other creatives and to know that they are right there with us. Look for a group that makes you feel your worth. I don't mean a group of people who tell you what you want to hear. But find a group that will speak the truth to you kindly and that will share in your struggles. Remind yourself of truths Focus on what you KNOW to be true, not how you FEEL. In January I had my best month ever. Then in February...I didn't. I was really low. When I talked to my husband about my income that month, he reminded me that though my income was lower than January, it was still my third-highest-grossing month. I got caught up in feelings, not facts. Take an action to move you forward I've learned that I hit a low point at the time I finish a book. I am filled with self-doubt and even self-loathing. I think my book is the worst thing I've ever written. I want to quit. Once I identified that as a trigger, I learned to take an action: I start a new book. As soon as the finished book is with my proofreader, I open the next Word doc and start typing. You are not alone in your doubt! Every so often I've heard someone try to say that if you have doubts that it's just imposter syndrome or a sign of immaturity in your career. Just say NO to that nonsense. At some point, you DO have to get out of your head and take action. You can't allow these doubts and hardships to hold you back. But having them is NOT a sign that you don't know what you're doing or that you have a lot to learn. I've experienced doubt every single month for the last year, even though on paper I've gone from making under $100 a month to a healthy four-figure income. You're in good company! This post follows my post about publishing successfully on Amazon. Newsletter swaps have been hugely important in my success and this post will walk you through how to promote your book with newsletter swaps. Find the full shownotes: http://createifwriting.com/153 Join the community: http://createifwriting.com/community Get my weekly email: http://createifwriting.com/quickfix WHAT IS A NEWSLETTER SWAP AND WHY SHOULD YOU USE ONE? Newsletter swaps are an effective promotional tool where authors send their audience an email promoting another author's book, in exchange for that author promoting them in return. The trade doesn't always (or even usually) take place on the same exact day, but the authors set up the swap for when they have new releases, sales, or just a book they want to promote. This is an effective marketing tool and a great way to network and build rapport within your niche and community. I'll continue to stand by email as a selling tool and when you can leverage the power of another person's audience, you can grow your own. I've also made great connections and done other collaborations with authors in my niche after connecting in Facebook groups. HOW DO YOU FIND PEOPLE TO SWAP WITH? Facebook groups by GENRE Story Origin Paid and free services if you Google My personal preference is to find these in Facebook groups. It becomes about community and networking, not just piggy-backing off someone else's platform. We all want success for each other. You also build trust there and know who you are dealing with. This is important because you are putting those people before your audience. You don't want to break trust with your readers. If I send something to my clean romance group that isn't clean, I'm going to get angry emails. My readers will stop trusting me. HOW DO NEWSLETTER SWAPS WORK I would recommend signing up for some author lists first to see what they send. Get an idea and then consider what YOU want to send. Do you want to have a close relationship with your readers? Do you ONLY want to give book recommendations without being very personal? Plan out what you want this too look like. Get clean links from Amazon or wherever you are sending. That means that they stop after the ASIN and don't have a ton of extra gunk on the end. Also, it's against Amazon terms of service to use affiliate links in email and they also don't want you to mention the price, because so often it changes. More reading: Important Rules for the Amazon Associates Program Typically you'll pull the book cover image and maybe a quick blurb, but different authors handle this in different ways. If I've read the book, I'll often give a brief, personal review. I've found that it can help increase the clicks. TIPS FOR EFFECTIVE NEWSLETTER SWAPS Be familiar with the books you send. Maybe you don't read each book, but check out the author and their other books. Use the Look Inside feature. I've sometimes found books that were engaging in poor practices like book stuffing, which violates Amazon's terms of service, or ones that were supposed to be clean and had content that wasn't clean even within what I read in the Look Inside feature. Give before you get. When you're starting out, you may not have a big list. Maybe you don't have completed books. Start your list. Ask to send for people. Maybe at first they don't need to reciprocate. You're still building goodwill with those other authors in your genre. Send books that will cultivate the right kind of audience. You are building a personal author brand and want to attract the kinds of readers who love your book. Send books that are going to attract and keep the kinds of readers you want. Rarely go outside your genre. Every so often, it's okay to test the waters with a different kind of book. But it needs to stay within the bounds that keep that audience you're cultivating. I could send a Christian devotional to my clean romance list. Some would love it. I would never send books with adult content. Keep track so that you're trustworthy. I don't always send other authors the link to my newsletter. I like the buddy system and usually know the people I'm swapping with. Sometimes it's nice to get that, but overall, it takes time and I never click. But it's a good idea to ask what the expectation is! Some people use a spreadsheet to keep track and some make people sign up with a google form to swap. You can click to Save a Facebook post, which will help you if you have set up your swaps in a group. Don't send too many books. This looks different for everyone, but I wouldn't send more than four. Some only send two. It's a good idea to be up front where possible or as people ask with those numbers, like your list size or how many books are in each email. More books = less clicks. Be genuine. No matter how personal your emails are, you should always remember that even when you are sending for other people, you are building your author brand. People don't respond as well to straight sales pitches, but are more likely to buy from word of mouth. As in, PERSONALLY. If you only send emails with books to buy and nothing personal at all, you are wasting an opportunity to connect with your readers. Find even small ways to be personal and genuine in your emails. NOT SURE HOW TO GET STARTED? Start building your list! It can be a slow process, but it's very worth it in the end. Read my post on growing your email list to help you with this. Get in some swaps groups and see how they work, who is in there, and what people are sending. Then, start giving before you ask for something in return. I've found good success pairing newsletter swaps with other paid email promotion services. It's free (other than the costs to start up a list) and has benefits beyond just book sales as you connect with other authors in your community. For the official show notes: http://createifwriting.com/152 To sign up for my weekly email: http://createifwriting.com/quickfix This post will be a deep dive into the strategies I utilized in 2018 to go from under $100 a month to making solid four figures every month self publishing on Amazon. My goal is to be as transparent as possible and give you the strategies and tips you'll need to find success! Caveat: There is no ONE way. These are things that worked for me. If you don't have a well-written book, chances are you will not succeed self publishing on Amazon or anywhere else. If you are interested in self publishing on Amazon, it's a great time to be writing! There are so many more resources and tools out there to help you. But that can also mean a lot of time wasted researching, testing, and trying things. I spent the last year testing, trying, and self publishing. I'm happy to say that within that year, I've made huge strides and learned a lot that I wanted to share. This post will be an overview of the strategies I employed and I'll do a deeper dive on each piece in a separate post. BEFORE YOU SELF PUBLISH ON AMAZON Before we get into the strategies, I want to make this clear: You are unlikely to find success with a poorly written book, a bad cover, and an unclear genre. These are necessities! Sometimes you might get away with one of those, but all three are massively important. WELL-WRITTEN BOOK While we can all point to books that are poorly written and still find success, your goal should be to write a book that resonates with readers. Sometimes books with poor writing style or grammar do well because the story resonates with readers. But books that well well are books that connect with an audience. Start here: write the very best book you can. BOOK COVERS Without a solid book cover that looks professional and like the other books in your genre, your book will not sell. No matter how good the inside of the book is, people are turned off by bad covers. This is simply reality. The faster you understand that and stop fighting against it, the better off you'll be. Good resources for affordable covers: Go On Write German Creative on Fiverr CLEAR GENRE If you try to tell someone about your book and say something like, "It's kind of like a sci-fi thriller, with a little romantic comedy and fantasy mixed in," then YOU ARE IN TROUBLE. Books in a genre may have elements of another genre (like a sci fi book that has a romantic storyline in it), but to do well with your marketing efforts, you really need to be very clear on your genre. If you haven't checked out my post on Niching Down, this would be a great place to start! Once you've got a well-written book, a solid cover, and a clear genre, it's time to think about self publishing and marketing your book. HOW TO SUCCESSFULLY SELF PUBLISH ON AMAZON I tried a lot of things in 2018, but these are the main things that led to success with self-publishing. I'll go into more detail on each in future episodes and posts, but for now, here are the top things I did. (Again, AFTER writing good books, having solid covers, and being clear on my genre.) The first three are related to writing and craft and the second three are related to marketing. Published quickly (about a book every six weeks starting in May) Writing in a series Writing in a hot trope Consistently grew my newsletter Set up newsletter swaps with other authors in my genre Paid for promotions through other email newsletters Other than the two on the list, those three main things ALL deal with email! Email is and always will be my foundation for what I do. PUBLISHING QUICKLY I did not know that I could write so fast. This will NOT be for everyone! But I will say that if you don't think it's you, don't put a mindset block on writing quickly. My very first book ever took two years to write. The first clean romance book I wrote took three months. My second clean romance book took two months and my third took two weeks. I'll address this more in a future episode, but as a note, writing quickly does NOT mean poor writing. The structure of sweet romance is fairly simple and the books are short, around 50k words. This makes it fairly easy to write them more quickly. I also find a cohesiveness in my books that I write faster. Whether a book is written quickly or slowly, you should consider hiring a proofreader! There will be mistakes either way. Again, writing quickly isn't for everyone. But whenever I release a new book, I see spikes in the sales of my other books. Writing quickly and publishing quickly on Amazon can be a great marketing tactic in and of itself. You may not realize that you have a quick writer inside of you--I for sure didn't! Don't feel that you have to do this, but don't think that you can't just because you haven't yet. WRITING IN A SERIES To get the most out of your books, consider writing in a series. This gives readers a clear path on what to read next. If they find and love you, they may just go out and read ALL your other books. (I've done this for authors!) If you're writing in romance, the series have to be tied in some way that's NOT leaving readers with cliffhangers. My series are tied by theme or location or have secondary characters becoming primary characters in other books. For MOST genres, series should be read in order. Know your genre and plan a series within those genre expectations. It will impact your continued sales as you publish. WRITING IN A HOT TROPE Trends come and go! If you can latch onto a trend that is hot and write quickly enough to get books out there, you may find more success. Billionaires have been hot in clean romance for the past year or two and I've found that my billionaire books outsell my other books something like five to one. Or more. Traditional publishing doesn't always have this luxury, as books are finished years in advance. So if you see that vampire books are going wild again, you won't have time to get a traditionally published vampire book out in time. But you might be able to get in there if you are self publishing on Amazon. Tip: I use K-lytics and am an affiliate for their deep dives into what's selling on Amazon! Find out more HERE. I also use Rocket to identify keywords that people are searching for on Amazon. I'm an affiliate for that as well and you can check it out HERE. GROWING A NEWSLETTER Because I know that email sells books, I put money and time into growing an engaged list of subscribers. I used free promotions where I gave away short stories or whole books through Bookfunnel, Book Cave, and Story Origin, and I also paid for promotions with Booksweeps and AuthorsXP that connected me with readers in my genre. I spent time crafting my emails and promoting engagement with my readers. Some weeks I get something like thirty replies to my emails! The goal is not just numbers, but to connect with readers who buy books and love YOUR books. As far as social media, I barely did much. I started Twitter, then never went there. I also have a Facebook page, mostly for running ads (and the occasional post) and have started a Facebook readers' group. SWAPPING NEWSLETTERS With having a solid list comes swapping spots in newsletters with other authors. Essentially, they share for you when you have a book coming out (or on sale) and you return the favor when they have a launch or book on sale. The best way I've found this to work is by networking in newsletter swaps Facebook groups by genre. Make sure you are clear on your genre! Sometimes I'll see books in the clean romance swap group that aren't clean or aren't romance. This works best when you are super clear on what you're writing and what you're sharing with your readers. PAYING FOR PROMOTIONS There are a ton of sites out there who will happily take your money and send your book to their thousands of email subscribers who buy books. These are NOT all created equal and can run anywhere from $50-200. I'm excited to break down more about how to choose the right ones in a later post, but for now, you can check out these resources on finding sites like this: Free and Paid Book Submission Sites from Reedsy 100+ Book Promotion Sites from Kindlepreneur Successful self-publishing on Amazon requires a plan. It also requires being willing to pay attention to what's working, doubling down on the things that do work and backing off on the things that don't. See my post on how I changed the title of my book mid-launch! I kept spreadsheets of book promotions sites that worked so I could track my expenses and stop using sites that didn't work. I pivoted and shifted when things weren't going well. I networked with other authors, asked for feedback, and studied what other authors did. Was it hard? Yes and no. Often the things I did were simple, but took a lot of time. While you're going to struggle to find success with a poorly-written book, writing a good book does not equal good sales. Just self publishing a book on Amazon likely will not result in sales! In this post and podcast episode, I'm sharing two equal and opposite errors: over-investing (and in the wrong places) AND not investing any money but thinking that you can make money. *mostly specific to writing and being an indie author, but this will also apply and I'll share some examples from blogging and platform-building as well I hear and see both of these mistakes a LOT in various Facebook groups where people share that they have spent sometimes thousands of dollars and have not made any money. Or maybe they JUST made that money back, but no profit. I also see people who are frustrated that they aren't making strides, but will say that they have NO money to invest to help make those strides. We need to invest. Period. (Well, assuming that you're doing more than a hobby!) If you are trying to bring in income or if you are building a business and being professional, you will have to make some investments. That does NOT mean you have to go crazy! We have to find the right places to invest and then invest wisely, invest over time, and continue to invest where it makes sense. LISTEN TO EPISODE 148 - Over-Investing and Under-Investing OVER-INVESTING & INVESTING IN THE WRONG PLACES People say you need to invest when you start up and I agree--there will be some costs. But your success will NOT match dollar for dollar what you put in, especially if you put it in the wrong places. I've seen multiple posts lately from people talking about how they've put in literally thousands of dollars into blogging or writing books and aren't seeing any return. Make sure you have a solid product first - beta readers, ask for advice from others, if there's a cheap coach who will do a session with you ($100 or less), free call with Jim Kukral, ask in a FB group. If you run ads on a book and the cover is terrible, you're setting your money on fire. Make sure you ask the right people - this is hard. Go to a FB group and everyone has a different opinion and you don't know who to trust. Look at book rankings. Look at social proof- the numbers. See if others have given reviews of their product or services, etc. I see people all the time giving advice, but then in another thread they'll say they are struggling. Make sure you aren't just buying everything - I feel like we should all go in with a little bootstrapping. You're learning as you go and if you invest like crazy up front, you'll be burning your money because you haven't honed your voice, your brand, your product. My books got good last year by book four. Yeah, I liked the first three. But they don't sell as well, get as good reviews, and weren't as solidly written to the market. Invest a little up front, then as you get better and see where that ROI is, then invest more. Make sure you aren't just doing what everyone else does - I hired out AMS ads and paid a ton of money for two months-- and did not see enough return. There isn't a high enough margin in AMS ads to pay someone $200 a month, no matter how many ads they are running. Other people did it, I knew I should invest in ads, so I did it. Did not pay off. I knew it was a test and I did it for two months, then stopped. Made more money the next month, spent less. Make sure your goal isn't just to spend the most to make less profit - I hear people talking about how much they made. Gross or net? And yes, I get confused and had to google these so I didn't sound like an idiot. Gross is the total, net is after expenses what you keep. Some people claiming these giant amounts also have expenses. So they may say, "I made 20k last month." But then they'll say, "I spent 12k." Still positive! Don't want to downplay that. But when it comes to throwing down money, that makes me nervous. I want to scale up, but at what cost? I'll make just over 8k this month and my expenses are under $1k. I'd rather be there, even though that other person and I made the same amount. Are you chasing a number? A status? So you can say you made x amount? Be practical. A helpful post might be: Six Questions to Ask Before You Invest UNDER-INVESTING As people start out, they often will say that they don't have money to spend. Bootstrapping is a reality for many! You have little to work with and you're trying to stretch it. That's okay! But sometimes people say they have NOTHING or are unwilling to spend some at the beginning to build something that is lasting. Investments made at the beginning sometimes take time to bring in a return. Invest, but wisely - I know that email sells. I know that I don't run amazing FB ads YET. So the best bet for investing in my books' marketing is in email newsletter services like Robin Reads, E Reader News Today, etc. They do the work, they have the audience, no learning curve. If you have to learn it or test it to get it to work, wait a bit. Maybe don't START with FB ads. Don't complain if you can't invest - We all can't invest, but don't complain about your lack of profit if you aren't. Books that you throw up on Amazon won't just sell. Typically. Newsletter swaps are free, so if you can't pay for ads, partner with other authors. Build a community. Help each other out for free. Invest so it hurts - Author Jami Albright wanted to launch her first two books with the right covers. She couldn't afford them. She literally sold plasma to pay for the covers and editing. And her two books made (gross) $50k in one year and allowed her to quit her day job. Invest realizing there is ROI - I hear authors a lot saying they can't afford to pay for the email promos I talked about. I can't NOT afford them. I did less at the beginning when I had less money. This past time, I tracked the results. Not only did every one (except for one) make more money that day than I spent, it was often double or triple. Plus it increased my rankings and visibility in Amazon. Invest believing in yourself - If you want to do these things professionally, you have to invest something. Maybe it's not a ton. But SOMETHING. And if you don't, it's a hobby. Sometimes you'll invest and it's still a hobby because you want it to be. I pay for some things because I like them, not because they're paying my bills. If you want to get serious, you DO have to spend money. Go back to Stop Wasting Your Money to make sure you are making the right choices where it comes to invest! To conclude: Can't spend money thinking that every dollar will be two dollars back. Can't not spend money and think you'll make money. Confession: I'm going to talk about how to cut your wasted time in this post. As in, how you can STOP WASTING SO MUCH STINKING TIME. But I'm not great with some parts of this. I'll share exactly which ones, but I hope I'll give you some other perspectives on wasted time as well. Last year (2018) I declared that it was the Year of the Emma Empire. I wanted to use the things I've learned over the years about marketing, email lists, and everything else to launch a fiction pen name and do amazing things. Happily, I reached my goal of having a $5k month of book sales by December 2018. (It was actually $6k in November!!) January isn't over yet, but I'm on track to blow my goal of $10k in a month of book sales out of the water already. Yes, I plan to talk more about this whole journey with you! (And yes, I'm grinning like an idiot and doing all the happy dances and completely disbelieving that I'm doing this.) But for now, I want to focus in on how thinking about time helped me accomplish these goals. And it's probably not what you think! HOW TO CUT WASTED TIME Many people think first of time-tracking apps and the like when they think about how to identify and cut wasted time. For me, I start with a more big-picture view. It relates in some ways to another post and podcast episode where I talk about How to Cut Down on Your Business Expenses. When it comes to waste, it starts with ROI. People compare time and money, saying your time IS money. So think of it that way! Consider your time as an investment. Where are you investing AND seeing a return? Those places are where you want to continue investing and perhaps invest MORE time. As for cutting down on time, it's the flip side of that question. Where are you investing time and seeing NOTHING in return? Remember that the return doesn't just mean money. It could be that you have joy. Or more time. Here are the questions I posed in the post on cutting your business expenses with a few tweaks. Ask these questions about each recurring investment of your time: Does it bring in money? Does it save me time or make more time? Does it bring me joy? Can I do without it? Does the amount of time spent bring forth a comparable result? These questions can help you determine the ROI for some of your activities. Because we aren't always the best judges of our time, I'll link to some great apps and ideas that members of my community suggested. WHERE TO SPEND YOUR TIME When I went to the 20Booksto50k writing conference in Vegas last fall, I kept hearing one thing again and again: double down on where you are finding success. I don't think that's the exact wording and it wasn't a theme of the conference, but it's what I heard and what I needed to hear. For my Emma Empire, I had planned to switch genres and launch a new pen name in early 2019. But seeing my income rise and then explode, I kept hearing that I needed to stick with what was working and keep my focus there. At LEAST for a little longer. In essence, I need to earn the stability and the time to shift my focus without a loss of my current trajectory. When you have something that's working well, double down. Drop what you need to drop to make that a priority. Stop chasing the butterflies and shiny objects. Stick with what works. That is very simplistic advice, but I know I need to remind myself of this. I know that it works. On a large and small scale. Thinking about this convinced me to keep writing sweet romance and not switch to YA spy novels. (Though I'm writing those in my "spare" time.) But in an even more focused way, when I realized that my billionaire books were outselling my beach novels, I shelved the other books (even ones I'd outlined) to double down on the series that was working well. And THAT'S how I'm breaking my goals into the new year. TOOLS TO IDENTIFY AND CUT WASTED TIME I confessed in the beginning that apps and the like are really not my thing. I know they are useful, but I can't make myself use them. Maybe I'll try in 2019. We'll see. But my community shared a few things that helped them focus their time. Rescue Time Roland Denzel from Eat Move Live 352 recommends this app, which helps you identify where you are spending time on your computer. He pays for the upgrade, which does fancy things like sends warnings when he has been doing time-wasting things and will allow him to block certain things to stay on task. Toggl Sarah Merchant from Work a Day Services uses this app to track how many hours she spends on tasks for herself and her clients. This one has a free and paid version as well. Atracker Community member Melody Hansen utilizes this for personal and client work to plug in where she spends her time. It helps break it down by category and sends you a report at the end of the month showing what you did where. F.lux Suzy Oakley likes F.lux, which is not a time-tracking app, but one that dims your computer screen based on the light you're in. She sets it to alert her and change the screen color when it's time to go to bed. Fresh Books When it comes to tracking time and expenses, Catherine Turner from Path to the Bestseller List uses Fresh Books to track her time, both billable and non-billable. A non-app option I want to recommend is Amy Lynn Andrews' book, Tell Your Time. I have this bad boy for years and though it's been a while since I've read it, I love the practical and uplifting way Andrews handles this! The subtitle is How to Manage Your Schedule So You Can Live Free. That about sums it up. :) BREAKING DOWN THE STEPS When it comes to cutting your wasted time, it's a pretty simple process. Now you need to DO IT. Identify where you are actually spending time Identify the ROI of where you are spending your time (remember ROI is more than just income!) Cut out, adjust, schedule, delete, or whatever action you need to focus on the tasks that have ROI Sure, that SOUNDS simple. Now how about actually DOING the work? I'll say that this process hurts. It hurt me several times last year to set aside things like this podcast. (Which I might do again this year at some point.) I cut out A LOT of things. Some I missed. Some I didn't. Some I should cut and just am not doing it. This process doesn't always feel good. And, depending on your goals, you don't have to be so cutthroat. Maybe you have some areas where you just chill and those matter to your mental or emotional health or happiness, but might look like a waste on a time-tracker. My goals last year were laser focused and so were my cuts. If you aren't trying to reach a really tough goal, you can have a little more room for flex. Do you have particular apps or time-tracking tools to help you cut wasted time? This post on how to cut down on your business expenses is a great one at the start of the year, but really ANY TIME. We'll walk through how to identify the things you need to stop paying for, pronto! Do you realize how many things you pay for when it comes to your creative business? I think I know. Until I do an audit and realize that I am paying for SO MANY things I forgot about or don't use. Here is a simple method that I use to cut back on those expenses to stop the bleeding and stop wasting my own money! STEP ONE - IDENTIFY YOUR COSTS The first thing you have to do is figure out what you're paying for. I'm mostly going to focus on recurring costs here. If you want to look at what different things you're paying for each month, that's a really different kind of evaluation. The recurring costs are a good and easy place to start! How to Find Out What You're Paying for: Check Paypal recurring payments (my recurring payments don't show up, but you can try this) Check your bank automated withdrawals Check your credit card List out all of your paid tools that are recurring, not one-time Look at whatever you spent the last few months on your business (non-recurring) STEP TWO - TAKE STOCK OF YOUR COSTS Once you've got them all, make a big list somewhere. (Or a spreadsheet, if you're that kind of person.) Then break down the costs in the same way. You can break it down so that you see how much they each cost monthly or annually, but make it even. (As in, don't look at one in annual and one in monthly, as that doesn't make sense.) Now it's time for the deep, soul work. Ask these questions about each recurring cost: Does it bring in money? Does it save me time? Does it bring me joy? Can I do without it? Do I have another tool that does the same thing? When is the last time I used it? You don't have to have a positive answer to one or all if you want to keep something. But these are the kinds of questions that will help you evaluate. I may keep something that brings me joy but no income. I may cut something that saves me time because my budget changed and I can do without it. STEP THREE - CUT AND KEEP If you can't measure what it's bringing you, haven't used it in a while, and don't plan to use it again, cut it out! Even if it's a $4/month thing. You might consider keeping something that you don't use or that isn't helping IF If you have upcoming goals and you WILL use it. Or if you think you might use it and the price will go up if you leave, then come back later. If you're going to keep something for this last reason, make sure you're not justifying to yourself. STEP FOUR - USE YOUR THINGS Whatever you keep, make a plan to USE it. If you are keeping a scheduling app for Pinterest, plan out when in your week you'll use it. Really make these things you pay for work FOR YOU. Otherwise, cut them! I'm a super clutter-y person and it feels so amazing to get rid of these things! I've been cutting down on some major expenses and it's fabulous. I hope you can do the same and feel the same! Want more planning tools? Check out my annual planner! Or sign up for the Digital Detox, a quick and fast email series with a small actionable decluttering item. In this post I want to talk about something super fundamental that's sometimes overlooked. And it's simple! Let's dive into how to keep your audience happy. If you want to build an audience of raving fans, it can seem daunting at times. Do this! Do that! Post here! Write this kind of thing! But when it comes down to the foundation, it's REALLY simple: set up expectations with your readers and then keep them. This means building trust and keeping trust. It's like you are creating a contract with your audience, even in things like your email sign-up forms when you tell people you will send every week. HOW TO KEEP YOUR AUDIENCE HAPPY This boils down to setting up and keeping expectations, but there are multiple ways you may be doing this or NEED to do this. What you SAY - The most common way to set expectations is when you explicitly tell people what you're going to do. Ex: when people sign up for an email list, book descriptions, your blog tagline What you DO - Your actions set the expectations. Ex: how often do you post on the blog, publish a book, send an email. What people HEAR/UNDERSTAND - You may not realize that you are communicating something other than what you think, so it's a good idea to get an outside perspective. Ex: book covers, your tagline, BIG things. (Don't do this with every blog post! But good idea with bigger things or as you start out.) What people SEE - You may not realize how much your visuals impact expectations. Ex: book covers, how your blog looks, images you choose to use TIPS FOR KEEPING YOUR READERS HAPPY As much as you can, tell your readers what to expect up front. Be clear and up front about who you are and what you do. Surprises are only good when they are GOOD, like a free book. It's not a good surprise to get emails every day for your product launch when people expected only weekly emails. As much as you can, keep to your word. Life happens and people understand that. But whenever possible, stick to your word. Which means... As much as you can, don't set up expectations you can't keep or that you hate! If you don't like sending weekly emails, DON'T START. If you aren't sure you could keep up a weekly podcast, DON'T COMMIT TO THAT! Set realistic and sustainable goals. This may seem very simple and obvious, but there are so many small ways we could all do this better! When we are clear with expectations and then commit to following through, we build trust with our audience and end up with raving fans. So far in this series, I've shared a simple book launch formula, how to get other people to share your work, how to utilize paid promotions, and in this post, I'm tackling how to grow your email list. This WILL have applications outside of book launching! If you're new around here, you may have missed that I'm a little nerdy about email lists. I've got under 10,000 people on my combined three lists (for fiction, nonfiction, and my lifestyle blog). Not huge! But size is NOT the only thing that matters when it comes to your list. The goal should be a group of active, interested, and perhaps even RABID fans. First of all, let's talk about a few email basics. When I say "email list," what I mean is the group of people who have actively signed up to receive emails that you send through an email service provider like ConvertKit, MailerLite, Mailchimp, Mad Mimi, or any other trusted provider. I do NOT mean you sending emails to all your contacts in gmail. HOW TO GROW YOUR EMAIL LIST Growing an email list really breaks down into two main pieces: Content Strategy Traffic Strategy Without great content, no one will want to sign up for your list. Without traffic, no one will know about your great content. These go hand-in-hand. There are also tools and ways to optimize your website for email growth, but I'll tackle that in another post. Note for People Who Hate Email: It's all about your MINDSET. If you're frustrated about email or not really "into" it, you need to reframe the conversation. Consider email your direct connection with your superfans! It's not a chore and it's not THAT complicated. You CAN do it and I hope that if you think of it as connecting with your fans. If you are JUST getting started, check out my FREE EMAIL COURSE! CREATING YOUR CONTENT STRATEGY I'm all about the two parts in this post. There are two parts to your email content strategy that you need to consider. The first is the kind of content that you are creating openly on the internet, whether on a social media platform like Instagram, a blog, a YouTube channel, or even in books you sell on Amazon. The second part of your content strategy is what you'll send people through your email. PUBLIC CONTENT (blog, social media) -> EMAIL SIGNUP -> EMAIL CONTENT To get subscribers, you need to have fabulous content that they can interact with BEFORE they sign up. If you have great blog posts, they may be motivated to sign up to get more. If you have Instagram posts that they just love, they might want to go deeper and get updates via email. You must have some great public-facing content that they can engage with before you ask them to sign up. You also need to have a compelling reason that people want to sign up. No one wants to "sign up for my newsletter." Nope. You need to clearly and specifically let people know WHY they should sign up for your email list. That looks like creating an email content strategy. It doesn't have to be complicated! For my fiction list, I tell people that they'll hear about new books first and get my Weekly Clean Reads email with great book deals. 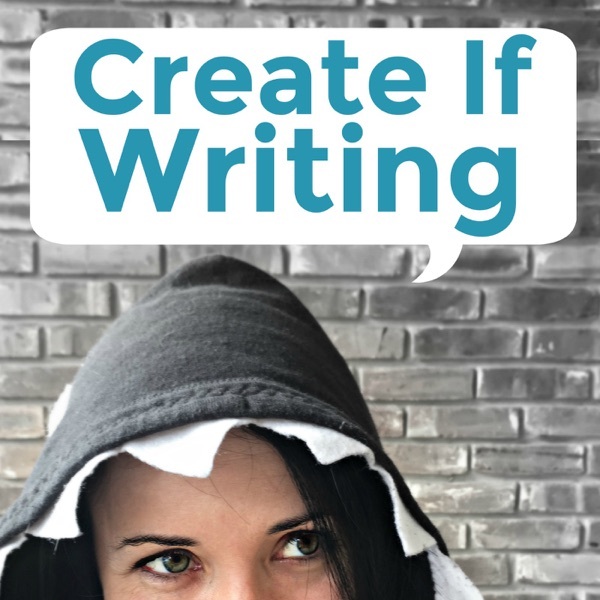 For Create If Writing, you'll get the weekly Quick Fix where I share news, tools, and resources for your authentic-platform building. Do you see how both of those are clear and specific? They may not speak to EVERYONE, but I don't want everyone on my list. I want superfans! A freebie (aka: lead magnet or reader magnet) is another type of content that may get people to sign up. This usually looks like a free book, checklist, form, resource, guide, etc that people will get for signing up for your email list. Freebies can still work really well, but they also need to be specific and targeted to the right people. Read more: How to Create the Perfect Freebie If you are trying to figure out how to grow your content or develop a content strategy, I'd recommend Meera Kothand's book the One Hour Content Plan. It's focused toward blogging, but will be helpful in thinking about a framework for content strategy. GETTING TRAFFIC TO YOUR CONTENT A lot of people stop after working on content. They think the issue is really all about creating a great freebie and having a nice website, perhaps with a snazzy opt-in form or pop-up. Those things are great! But if you have no traffic coming your way, then you won't have any people who see your content to sign up. Ways to get traffic to your website: SEO - Search engine optimization as with Google Social Media - Sharing on Twitter, Facebook, or Pinterest (which is more like search engine traffic) Use email - but this is a chicken and egg problem- you can email people when you have a new blog post, but this doesn't help if you don't an email list Guest posting - not all created equal (check out my post over at Jane Friedman) Ways to get traffic to your email list directly: Ask others to share - in email or in guest post Use paid/free services - My Book Cave, Bookfunnel Use a giveaway - Booksweeps, Kingsumo Opt-in in the back of books You can use a variety of ways to build traffic to your website or even just a landing page for your freebie. A combination is often best, but you could have several different kinds of Read more: How to Get Traffic to Your Site Are you feeling a little better about email? Just a LITTLE? I hope you are!! Remember: you need to think about the kind of content you're going to provide and then get that content in front of people. Yeah...it's a little more complicated in practice. But break it down into those two pieces to start. You can do it! MORE EMAIL RESOURCES AND LINKS Blog Elevated Conference Laura Fuentes is the one I mentioned who got me into email! GDPR INFO More email resources! It's a scary thing to consider spending money when you are just starting out. Or even sometimes in the middle. When you aren't yet making money, it can seem crazy to SPEND money. But investing wisely can lead to greater results. I'm going to share the two main ways that you can invest as you launch your book and some things to consider as you do. Listen to Episode 142- How to Use Paid Promotion to Launch Your Book Subscribe on Apple Podcasts, Spotify, Stitcher, or your favorite podcast app! THE TWO MAIN TYPES OF PAID PROMOTION Much of this series focuses on books, but could apply to other launches, but this post will be more specifically geared toward book sales. The two main options for paid promotions are: paid newsletter promotions (like BookBub or BookSends) paid advertisements (FB & AMS) There are lots of other ways you could advertise, but these are the two main branches that I'm going to talk about today. PAID NEWSLETTER PROMOS Email outperforms social media for sales, period. (Read some research on that here, or listen to Tim Grahl.) If you don't have a big list, that's okay! You can use paid email promotions that utilize other companies big lists. Essentially, they spend the money to build a giant list, then they charge you to have your book featured to their big audience. Things to consider: Do you need reviews or other requirements? Does it break down into specific genres? What is the cost? What do other authors say? Does the book have to be live to set up the promotion? How far in advance are they booked up? (Some are booked up for months in advance) Is it email or is it a social media post? Before paying for any of these promotions, I asked other authors which sites they personally had luck using. Not everyone agrees, but it's a good idea to ask people, not just see reviews. I also tested and found which ones seemed to work well for my books and tracked those daily sales with a spreadsheet so I could know which ones to try again. Kindlepreneur's List of 127 Promo Sites Reedsy's List of Promo Sites PAID ADVERTISEMENTS The biggest of these are Amazon Services Ads (formerly known as AMS ads, now just AS ads) and Facebook Ads. Many people have found success with these kinds of ads, but the downside is that you have to either learn the skill and platform, or hire someone. Things to consider: Do you have time to learn something new? Do you have the money to test? Do you see other authors in your niche having results? TIP: Now you can go to a page and see what ads that person has run. You won't see the effectiveness, but can see the image they used, their copy, and any interactions on the post. Kindlepreneur Free Amazon Ads course Test, but ask others what works Pay for the ones with ROI - email! It's not always about the money you make back, but what it gets you. ROI, but with a grain of salt because visibility matters to your ranking, KU page reads, people reading through to other books. Some people have a formula for this, but it makes my head spin, so I can't even. SO HOW DO YOU CHOOSE WHICH KIND OF PAID PROMO? Difference between running ads and paid NL promos. Both risky, esp if you're trying them for the first time, but ads tend to have more risk. With an NL, if you ask for reputable suggestions, people will tell you. Doesn't mean you'll get what you want or hope for, but often it's easier than trying to figure out the right audience to target on FB ads or how to bid on BookBub ads or what the heck with AMS, or AS ads. Conclusion: Invest and Test The biggest thing is that you're going to have to invest. Invest in your own growth of newsletter. Invest in ads for your books. Invest in the things that make your book succeed, like a great cover and time to write well. Test what you can and track your sales and pagereads and rankings on Amazon. You can't always get this down to a science, but you can get a good idea of what works for you and what doesn't. In the last post I shared a simple book launch framework. Now I want to break down some of the specifics related to promotion, because this is where people really struggle. Because this is a huge topic, this post focuses on getting other people to share your work. Having other people share your work? Well, that sounds smarmy. Isn't this the blog and podcast all about NOT being smarmy? Yes. Yes it is. But there is a way to ask others to share your work that is NOT smarmy. I heavily rely on other people sharing my fiction books for Emma St. Clair, and I've built some amazing relationships along the way. I'm going to break this down a bit, but if you want more on how to work well with others in non-smarmy ways, you should really check out Creative Collaborations. Yeah, I'm plugging my book. But literally, that's what the book is about. So if you want more... get it. It sounds simple to say that you should ask people to share for you. But if you're starting out and aren't sure how to do this, it sounds weird and gross, like those 100 emails I get every day from strangers asking me to add this super relevant link to my blog post! (Nope.) The two main ways to do this are: simply asking people that you have a relationship with (including newsletter swaps) having an affiliate program for your thing Let's go a little deeper into the details so you can put this into action! But first... a few quick reminders. If you didn't already check out the first part of How to Launch Your Book, you should do that. I'll give you a summary of the three main kinds of promotion: sharing with your people (email, social media, etc) asking other people to share with their people (what this post is talking about!) paying for ads and promos Clearly, we are focusing on part two. But I'll go back to part one and also we'll look at ads and promos in the future. (If you want a head start on email lists, you can check out my email list resources!) YOUR MINDSET ABOUT PROMOTION Also before we start, let's get your head right. If you hate thinking about promotion and marketing, you need a mindset shift. Stop thinking of this in those terms if you don't like them. Marketing and promotion is basically YOU connecting with your ideal audience and readers. Don't you want to do that? Don't you want to get emails from people saying they loved your book and your course and think you are the best thing ever? Don't you want people joining your email list after they read your great blog post? Don't you want to know that readers were up all night reading your book? Marketing and promotion are just fancy words for you finding your ideal people who want your stuff. Doesn't that sound much better, albeit less fancy? Writers all struggle with different parts of the craft. Some struggle with the start, while others get stuck in the middle, and many find editing to be a challenge. But one shared struggle for most writers I talk with is the actual book launch. Book launching brings to mind the idea of marketing and promotion and publishing, whether you are working alongside a traditional publisher or you are an indie author. I'm going to share a simple book launch formula here geared more towards indie authors. But if you are working with a traditional publisher, these principles can still work for you! You simply might have other help or confines to work within. I'm calling this a framework not a formula or a step-by-step guide because I like the loose structure of a framework. I definitely am a do-what-works-for-you person, so within a larger structural framework, you have freedom to try many different strategies. This is meant to help you understand the bigger umbrella of a book launch so that you can shift the smaller, moving pieces in ways that work for you and your book. A SIMPLE BOOK LAUNCH FRAMEWORK When I say "simple," what I mean really is that I'm breaking this down into the simplest overarching things you need for a launch. I'll be following up in detail with later posts, but for now, the goal is to avoid overwhelm. SIMPLE. Got it? Let's go. Three Stages of Your Launch Timeline 1. Pre-launch - writing the book, editing, proofing, formatting, cover design, platform-building 2. Launch - three kinds of promo (more on that next week). Telling your audience, having others tell their audiences, and then paying people to tell people 3. Post-launch - keeping your book afloat, more evergreen strategies on your site, guest posting, AMS ads, continuing to do the launch-type promo paying or emailing, etc That doesn't sound so bad...right? Let's take each piece and break it down a bit more. Again, this is about the framework, so I'm not going to go into a lot of detail on how to do a lot of these things. Before you get to the details, I want you to have the mindset. PRELAUNCH Goal: Prepare the product, building your platform Actions: In this section of your launch, you'll be preparing your product. You'll write and polish your book, get the editing and proofing, formatting, and cover. All the things you need to be ready for launch. You'll also be building your platform so that you have an audience to launch TO. I would primarily recommend growing your email list or a Facebook group. But if you have engagement on a social platform (people like, comment, click through, share), then definitely utilize that! LAUNCH Goal: Get the message out about your book, make sales Actions: This is the most obvious section, but there are many ways to handle the actual launch! I'm trying a slow launch method where I don't really make a big deal about my book until it's been out for a few days, then I stagger promotional efforts to keep a steady rise. You might go for a big explosion on one day. The big thing to note is that there are only three basic kinds of promotion: you telling your audience, getting other people to tell their audience, and paid promotions and advertisements. POST-LAUNCH Goal: Keep your book from gathering digital dust Actions: Books typically don't just sell and keep selling. You have to continue to drive traffic. This can look like continued ads, writing blog posts related to your book and linking in the blog posts (you also have to then promote the blog posts! ), setting up other paid promotions, reminding your readers, and other actions that you did in the launch stage. If you're using Kindle Select, you get a free promo or Kindle Countdown every 90 days. Now that I have a backlist of books, I try to set up one extra promo a month, in addition to launching a new book. So I'm doing all three of these levels every month. THAT MAY NOT WORK FOR YOU. I write rapidly. Find the balance, but don't forget to give your books love after they launch. Usually they will not keep selling if you don't. I hope that you are finishing this post feeling a sense of peace. Book launching (or just launching!) doesn't HAVE to be overwhelming. Yes, there are lots of little details within this big framework. But understanding the overarching ideas and the big picture can help you see just how doable this is! You've got this. We'll keep moving forward in this series, going a little bit deeper each time. Next up: more on promotions!